Askinosie Chocolate — Happy Food Co.
At Happy Food Co., we aim to make your life a little better every time you enjoy one of our fresh, local dinner kits. That's why we include a sweet treat in every box—a little something special to brighten your day. As it turns out, that "something special" is really special. Askinosie Chocolate: award-winning craft chocolate made in the Ozarks. This stuff is the real deal. Founder Shawn Askinosie sources his cocoa beans directly from growers in Ecuador, Tanzania, Honduras and the Philippines. 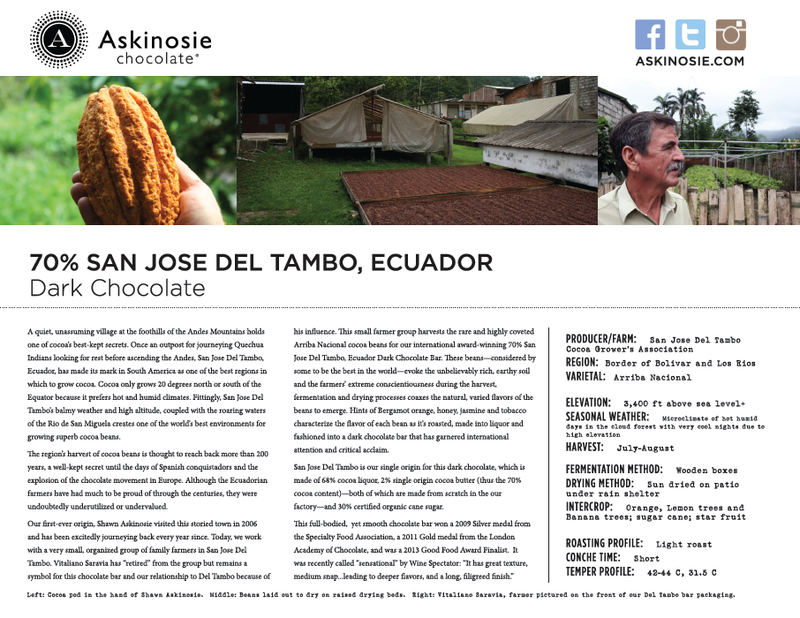 Askinosie chocolate is 100% traceable to the source, and their farmers share in the profits. 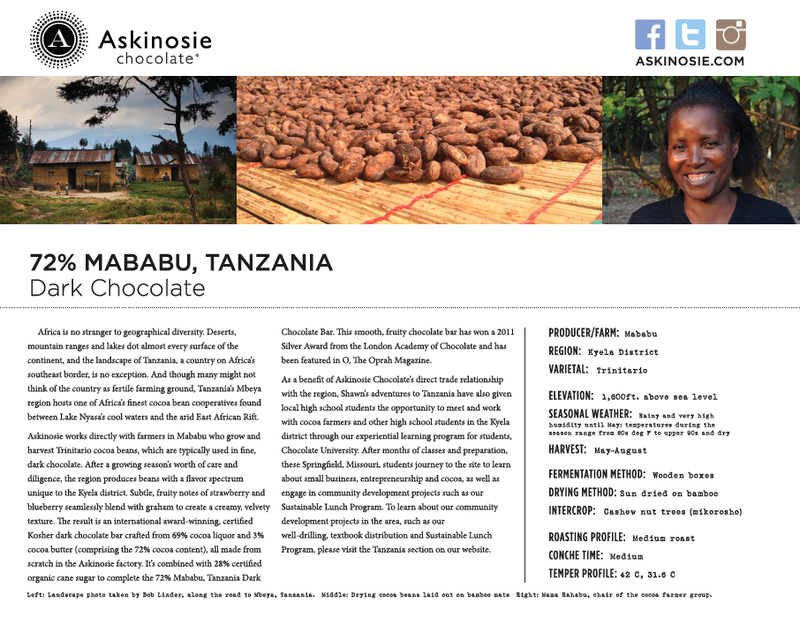 Askinosie also supports the communities where they source their beans. To date, they have provided 460,000 meals to malnourished students in Tanzania and the Philippines. 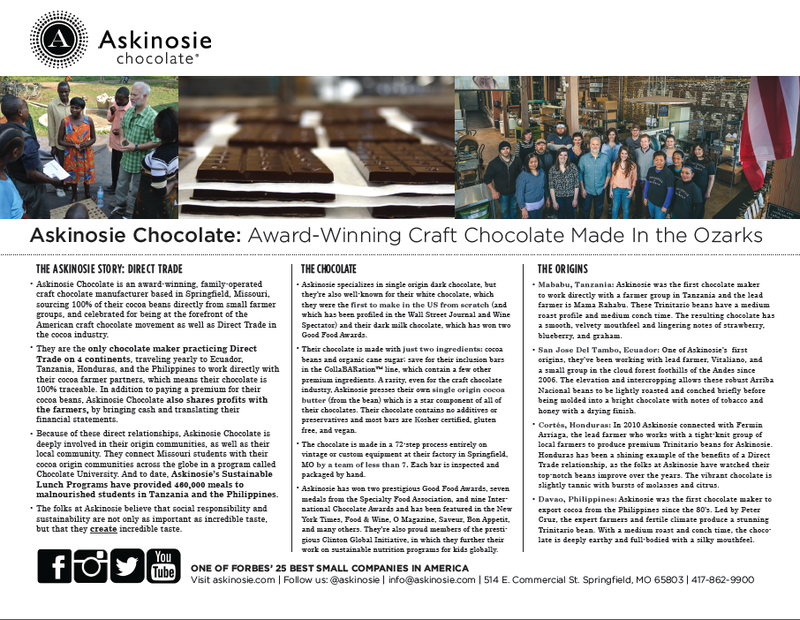 Happy Food Co. is proud to feature Askinosie Chocolate in our dinner kits. We hope you love it so much that you rip open the box and eat the chocolate while no one is looking. We hope you savor every morsel of that rich, flavorful goodness. Most of all, we hope it makes you happy and a little more optimistic about our beautiful world and the people who live in it. Get some happy at askinosie.com.